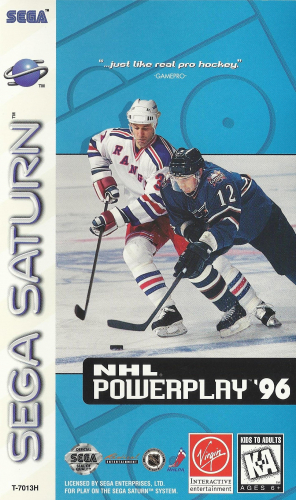 In NHL POWERPLAY '96 you'll find every NHL team at your disposal as you take the ice and set yourself for hard-hitting NHL action. The most notable feature of the game is the realism, whether it's the player models or the actual gameplay. The player animations are exceptionally done and they move with the fluid and smooth motion you'd expect from NHL players. There are several gameplay modes available, and if you're in the mood for some human competition you can go against a friend in the Versus mode.